After previewing his song “Push Thru” at the end of a recent sold out show in Seattle, a leak of Talib Kweli's upcoming single has surfaced. The collaborative track includes high profile guest verses from Curren$y and Kendrick Lamar. Produced by S1, (the man behind Kanye West's single “Power”), each rapper's verse in centered around the theme of perseverance. 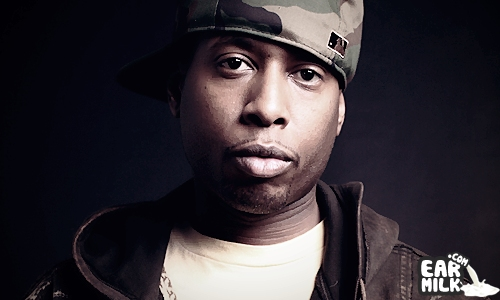 The track is the first offering off of Kweli’s forthcoming album, Prisoner Of Conscious which is a follow-up to Talib’s 2011 release, Gutter Rainbows. The album is expected to be released later this year and will include features from Busta Rhymes, RZA, Nelly, Melanie Fiona and Miguel. According to Kweli, this version is unfinished. Listeners can expect to hear the official version soon which includes additional bars. In the meantime, stream the the unfinished versiou below and look out for the mastered version of "Push Thru".